This is a beautiful picture! Wish I’d taken it! However, it is not an American Bittern. 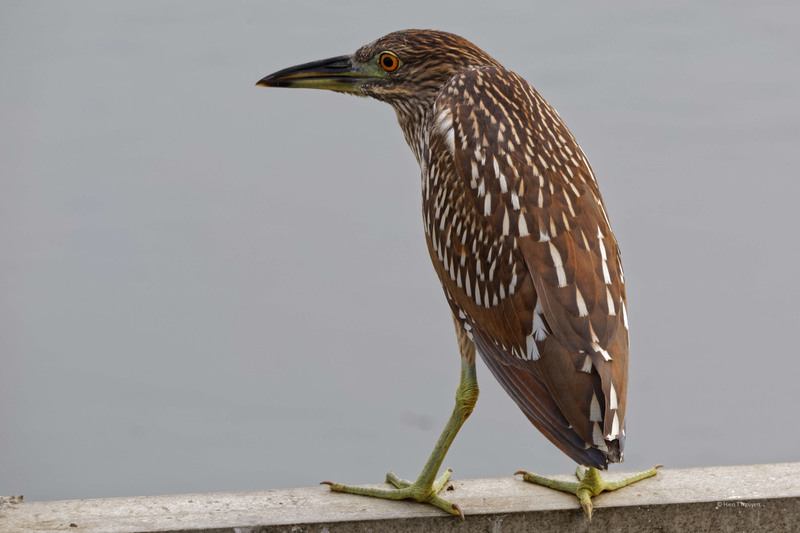 This is a juvenile Black-Crowned Night Heron. (Adult is black and white.) Tipoffs: Head and beak are wrong shape – bittern has slender head with slenderer tapering bill. Black-Crowned Night Herons are the “thug herons” — most likely to look neckless, as this one does. American Bitterns will avoid being in the open and stays around very shallow water (granted, hard to tell in this picture). Plumage color on back is wrong for Bittern. Another possibility is juvenile Yellow-Crowned Night Heron; however overall shape (again in the head region) suggests otherwise. Thank you for your comment, and you are absolutely right! No wonder it was out in the open. 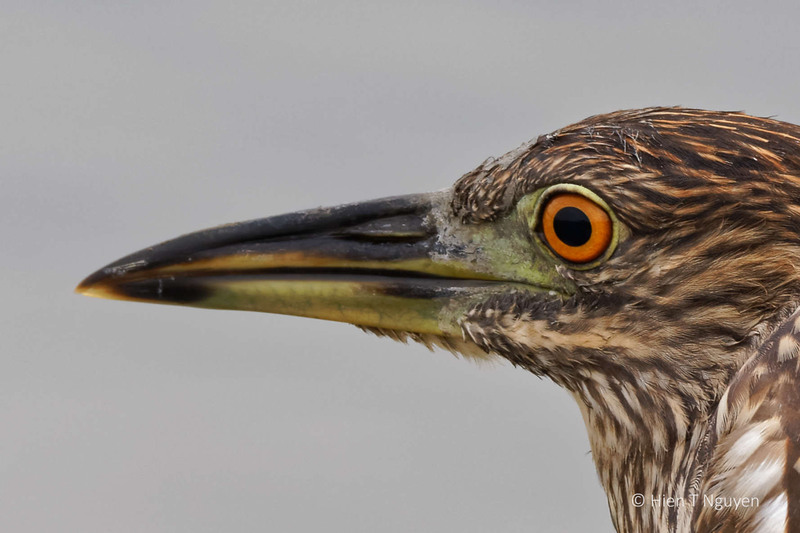 I went to allaboutbirds.org and compared American Bittern to a Juvenile Black-crowned Night Heron, and it is the latter. I will make the correction on my post as soon as possible. Wow, there’s a bird you usually can’t see like that! Wonderful, wonderful! Now that is a close up! Beautiful images, both. Well, as some one who spent three weekends hoping to get images like yours, I can tell you that most of the time, the bitterns are very secretive and very good at staying out of sight. Excellent images! Thanks Jerry! I think I got lucky this time, making up for some dry (photo wise) days. Thanks, Doda! This heron was real close and did not move for a while, allowing me to get these shots.